The use of car trackers in your vehicle allows for quick location and recovery of your vehicle if it is stolen. This gives an additional security to your vehicle and a certain peace of mind of getting your stolen vehicle quickly. This not only secures your car, it also prevents you from additional cost with your car insurance company. For this reason, extra care must be taken when choosing which car tracker you would want to use. Obviously you would want one that is able to offer you the very best benefit as much as possible. So to help you make this important decision, here are some things you should definitely consider. Just like most other things we buy, brands also determine the cost of these trackers. The features they possess is a major determinant on the price. 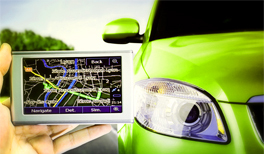 Do an extensive research on what exactly you want from your car tracker. Make a list of these and match them to see which best fits into your budget. Yes! It's imperative you have a budget to work with. So get a budget in place and give us a call. We are more than happy to assist you inn weighing in on your preferred option. Working under a budget doesn't necessarily mean one has to compromise on quality. Research on which brand and type of car trackers are most efficient and reliable. The good news here is that all of our car trackers are all Thatcham and insurance approved. Be rest assured you would be getting the very best from us. 3. Which Feature Do You Want? Having a car tracker with many features may look appealing but you also have to take into account that they are available at a more costlier price. An example of features could be a car tracker that doubles as a alarm while some trackers could remotely be triggered to disable the car's starter. All of these features look enticing and you may be wondering which to compromise on but you need not worry. With our years of experience in the car tracking field, we can help you make that choice once you come to us. This may seem surprising to some but indeed, not all car trackers allow for monitoring of trackers. Some will only get activated after the car is reported as stolen. Others have limited tracking zones/areas and cannot be monitored outside the country. It is best you settle for a car tracker like ours which allows you to monitor your car anytime and anywhere. We also offer coverage all over Europe with our satellite car tracking service. Some of these car tracking companies have extra hidden costs in monthly payments and all. Ensure you ask the right questions to know if there are any of such. If you are looking for one with trust and a reputation to keep, come to us and we will give you the exact cost with no extra hidden charges attached.